Snow is water that falls from clouds that have been frozen solid and like the rain. Snow consists of particles of water vapor which then cools the air above (see the atmosphere, biosphere, climate, meteorology, weather) falls to earth as a piece of soft, white, soft and crystal snowflakes, ferns such as ice crystals, the group of all). 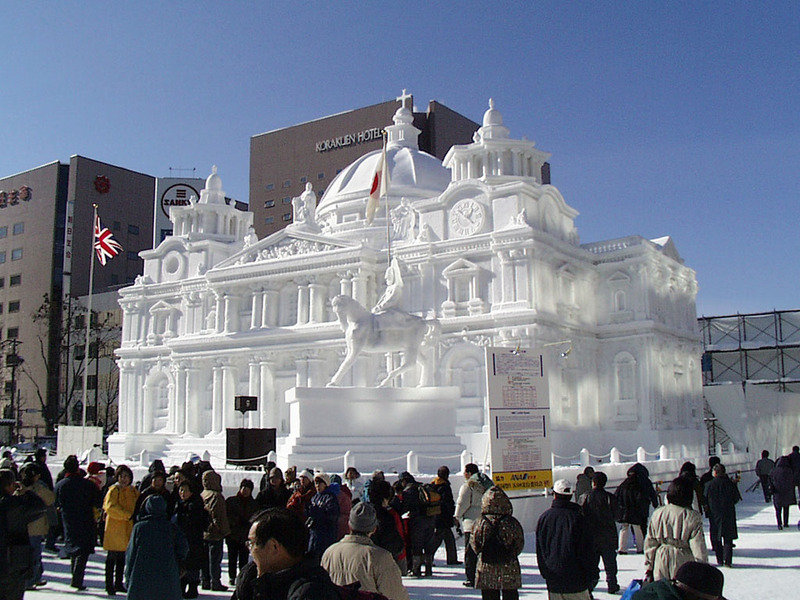 Sapporo Snow Festival is Japan's largest snow festival held in the city of Sapporo, Hokkaido. This festival was held for a week in early February. 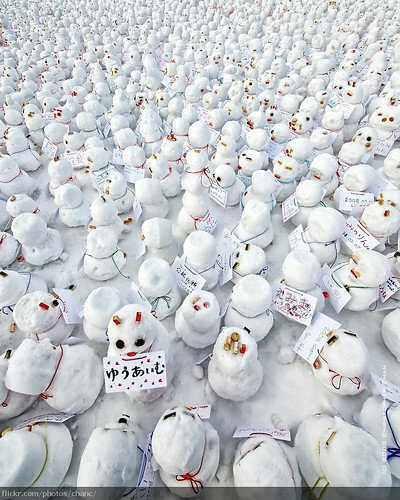 Each year approximately two million tourists from domestic and abroad visit to Sapporo during the festival. Since 2006, this festival is held in three locations: Odori Park, Susukino, and Sapporo Satoland. 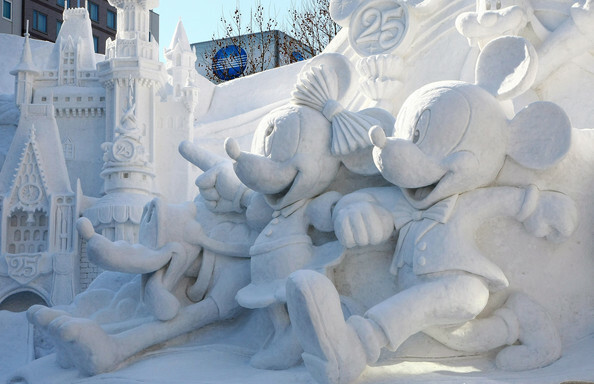 Odori park locations displayed in the ice and snow carvings are very large, including an ice sculpture shaped miniature of famous buildings. 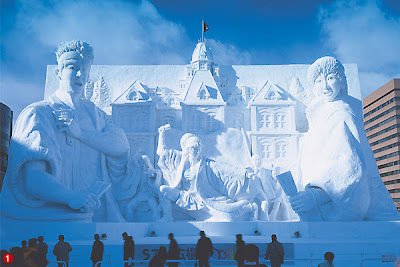 Ice carving exhibition held in Susukino smaller, while the event to be held in Sapporo Satoland family.